Titan Comics and Games Workshop are teaming up for a Warhammer 40,000: Deathwatch four-issue miniseries. 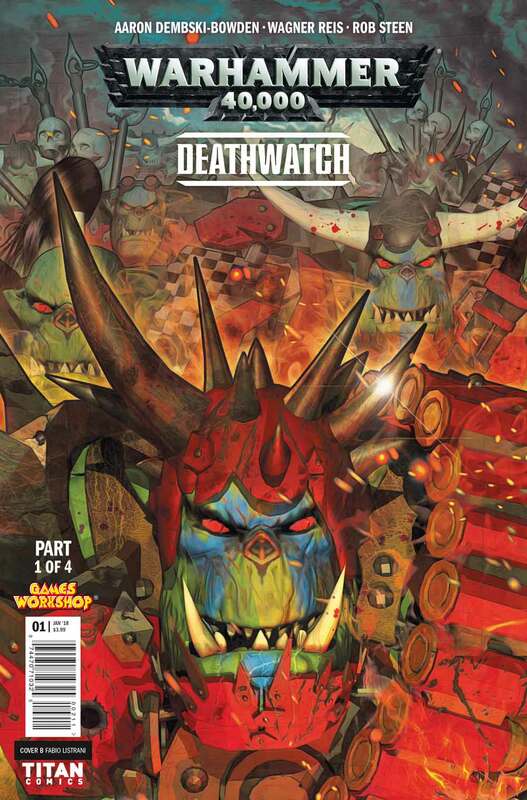 The series is based on standalone Games Workshop boardgame. As well as inspiring dozens of Black Library novels, the Deathwatch property has found success in other mediums including a new PS4 videogame (released in 2017), and Deathwatch: Tyranid Invasion, a turn-based strategy videogame, available on iOS and Steam. 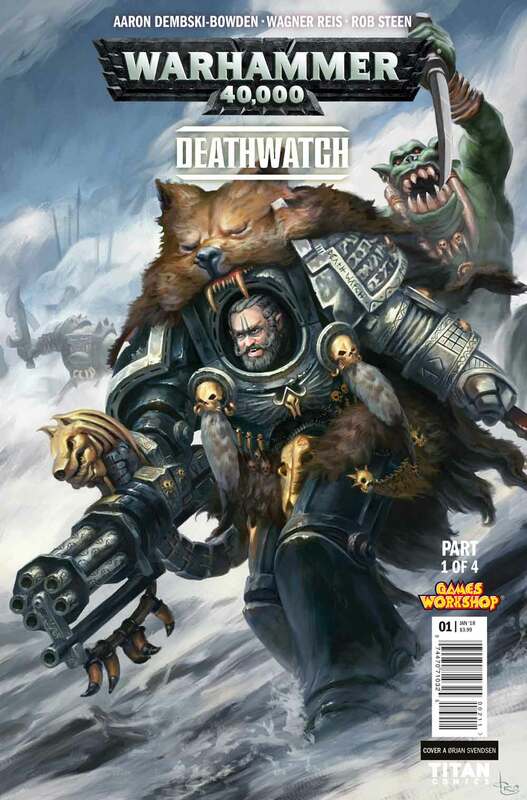 Written by Aaron Dembski-Bowden with art by Wagner Reis, Warhammer 40,000: Deathwatch Issue #1 arrives in stores January 3, 2018. 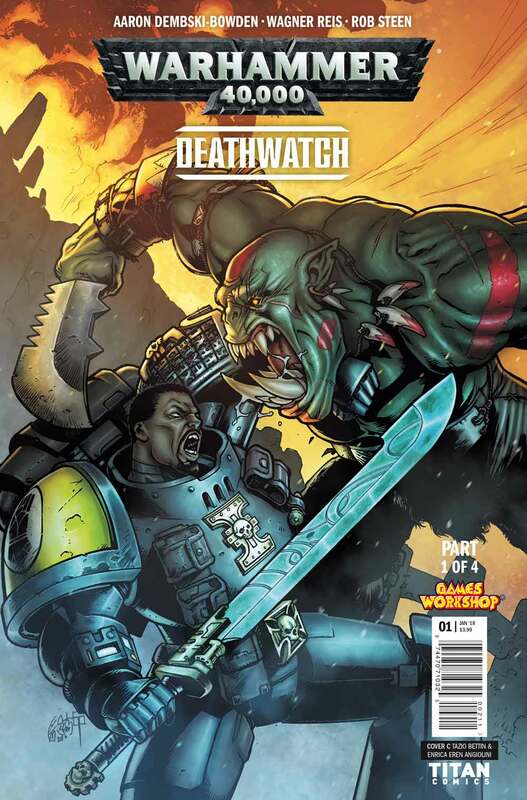 In Titan Comics’ Warhammer 40,000: Deathwatch Issue #1, the Deathwatch team are the best of the best from all Chapters of Space Marines – they alone have the strength of mind and body to battle the alien across the universe, defending humanity from the Xenos that would destroy them! Faced with the destruction of an entire sector, and assailed by hordes of Orks, can the Deathwatch strike team hold the line against impossible odds?